Whether you’re after something that’ll get the job done, no questions asked, or something a little quirky, there’s a lamp on our list for you. Natural wake-up lights that are gentler than an alarm; dimmable lamps for just the right amount of light, no electrician in sight; night lights and groovy lamps for kids or big kids, and downright grown-up lamps to fit into the most elegant or cutting-edge of interior themes. Overlooked? Not on our watch. Here’s our pick of the best lamps. This thoroughly modern statement lamp is available in uber-trendy copper or chrome, and offers some serious style wattage with its distinctive cutouts, light-refracting interior beads, and reflective finish. This is a lamp that’s made to be showed off, so why not grab one for the living room too? It’s fitted with a 3-stage touch dimmer, so you can select the perfect amount of light for reading, snuggling up, or snoozing. Choose between frosted white for a cheerful glow, or cool smoked glass to set the mood — the petite Lyss lamp shines, design-wise, no matter what finish it comes in. Its small stature means it can fit in wherever you need it, the all-over glass unit feels deceptively high-end for the budget price, and it’s got gentle curves and clean lines in all the right places. For all the design kudos of John Lewis’ Destiny lamp, but for a much smaller price, this is a great pick. Gone are the days when a bedside lamp would be expected simply to turn on and off. Equally great for bedtime relaxation, gentle wake-up calls, and creating ambience wherever you go, the wireless Philips Hue Go is portable, dimmable, and can turn itself any one of a frankly ridiculous 16 million colours. You can control the lighting with your voice by calling in reinforcements from Alexa, Apple HomeKit, or Google Assistant, and it’s compatible with all smart devices. We may not have the flying cars we were promised, but we do have this. The future is now. Say what you will, we think there’s something utterly delightful about having the original Pixar lamp by your bedside, or on your desk, or anywhere really. Today’s Anglepoise lamps, including the Type 75, are still made to Sir Kenneth Grange’s original design, managing to be at once retro and ultra-modern, and its handsome design and solid build will ensure its cult status for many more decades to come. For a clean and modern home office or minimal boudoir, this is the one. These Origami Woodland Night Lights come in a choice of bear, rabbit or fox, and cut a cute figure in any child’s room, bringing together modern design and folksy charm in one (think Blade Runner meets Beatrix Potter). The semi-opaque plastic gives the lamp its cool paper-like effect and gives off a warm glow, making it perfect as a comforting nightlight, but not ideal to read by. If your son or daughter is a bookworm, consider going for something a bit brighter, like the Anglepoise. If you want a night light that won’t blind you when you stumble to the bathroom in the middle of the night, go for this. That the bare-bulb design of this lamp wouldn’t look out of place in Victor Frankenstein’s lab should be enough to recommend it to all lovers of industrial-inspired design. Understated, elegant, a bit expensive, but with the super-cool design and long-lasting materials (walnut and brass, don’t you know) to back it up. 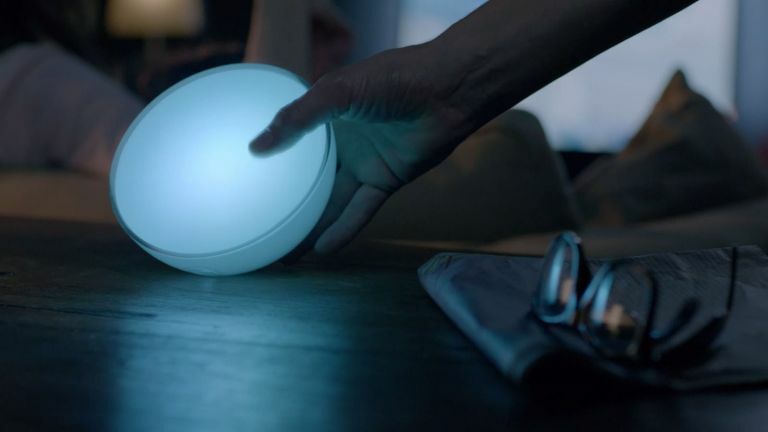 If you have surfaces to spare, it’s a great feature lamp for the living room as well as the bedroom, and a less fussy touch-sensitive option than the Destiny lamp. Hey, if it ain’t broke, don’t fix it. The Lava Lamp is just as cool today as it was back in 1963, bringing a nod to the grooviest decade to any swingin’ bachelor pad, although it might take a little more than that to achieve the full Don Draper effect. Great for kids and big kids alike, it’s a sleek dose of mid-century modern design that—nah, screw it, it’s just a really fun lamp. Do you co-sleep with your baby? Check out the best co-sleeper cots!